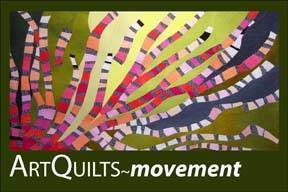 This Friday, the Durham Arts Council (DAC) will present the 9th annual exhibition of innovative art quilts organized by the Professional Art Quilters Alliance-South (PAQA-South). As a part of the DAC's rotating exhibitions program, the ARTQUILTSmovement show will be on display from May 20 through July 17. The public is invited to the opening reception on Friday, May 20, from 5-7pm which will feature live acoustic music in the galleries as well as wine and refreshments.